When Arie (Speedoggie Solar Power) was a year old, I had a number of people, including her breeder, suggest that I not spay her and consider breeding her. 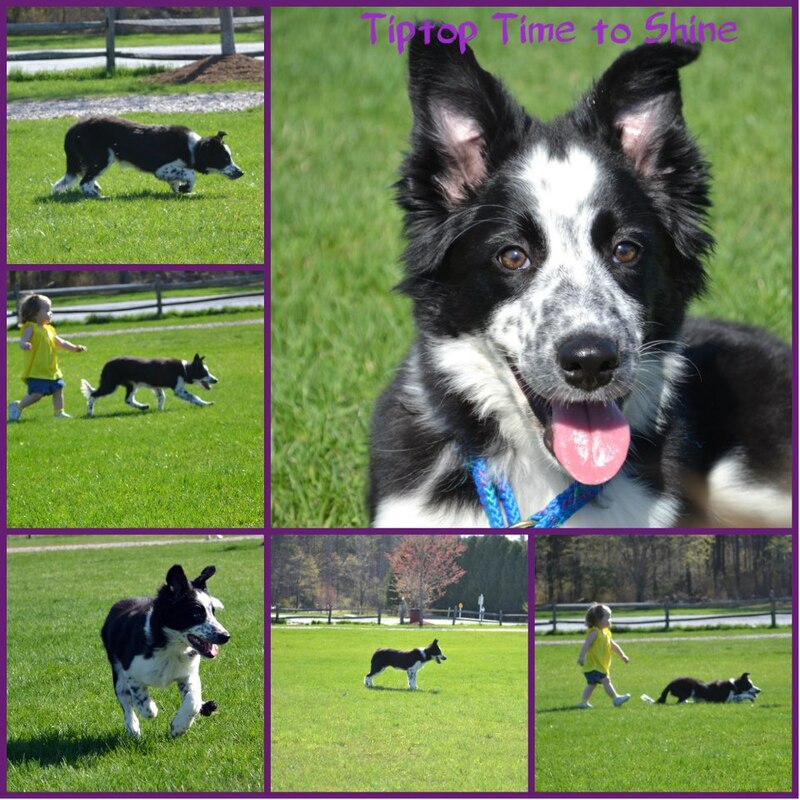 She is an amazing dog- great temperament, structure, and drive, with a lot of mental balance as well as her athleticism. So I spent four years looking into breeding practices, learning about genetics, and getting her tested. 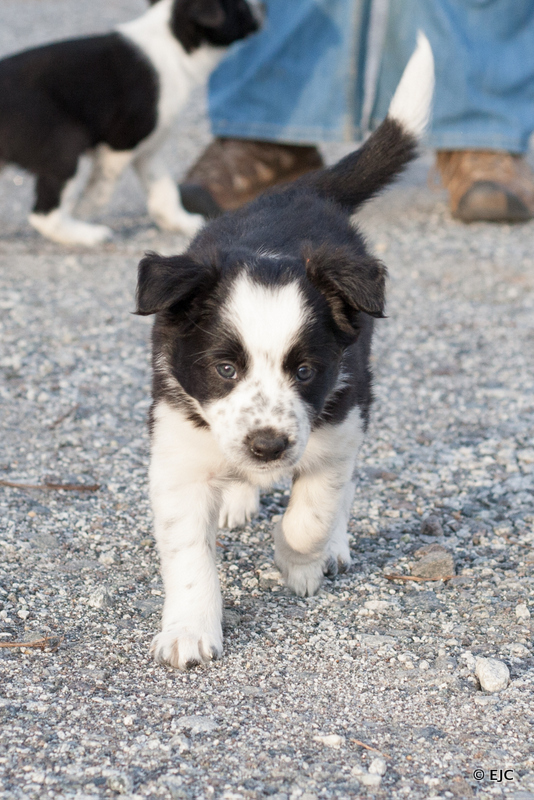 I considered what I wanted in a stud, and found exactly what I was looking for in Nick, a great herding dog owned by Gene Sheninger in NJ. 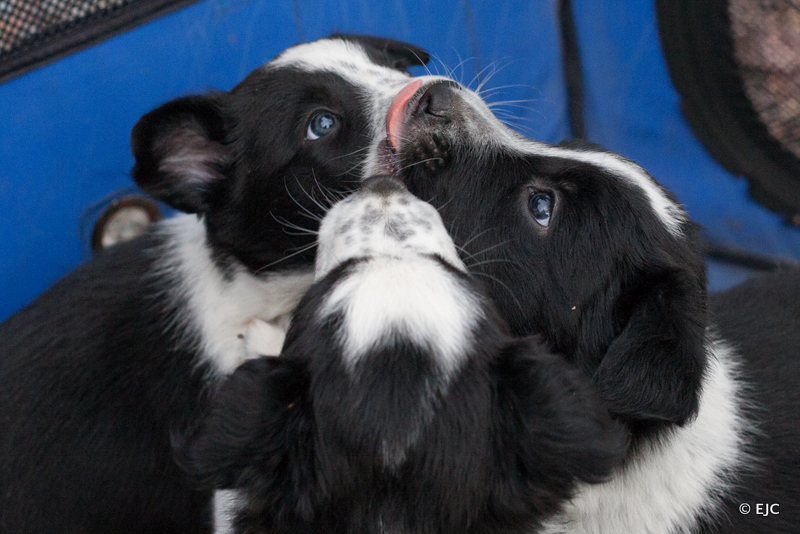 Arie was bred to Nick in November 2012, and in January 2013, Arie became mother to 5 beautiful baby Border Collies. I did a lot of work on exposing them to many different sights, sounds, smells, surfaces, people, animals, and as many other things as I could come up with, and found great homes for them, keeping one, Gethin. I have no immediate plans to breed Arie again, and it will be 3-4 years before I consider breeding Gethin. UPDATE: Gethin will turn 5 in January of 2018, and I am now looking at breeding him. 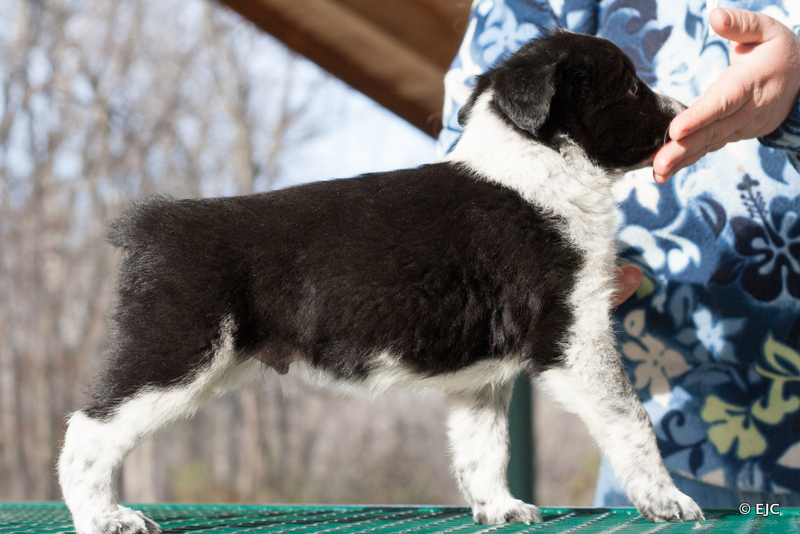 He has been genetically tested by both Embark and the PawPrint Genetics panel, and is an IGS carrier, otherwise clear. Hips are OFA Excellent, Shoulders are clear for OCD. BAER testing showed no hearing abnormalities, and cardiac auscultation was normal. CERF showed small posterior suture cataracts- these do not affect vision, and are not considered hereditary. 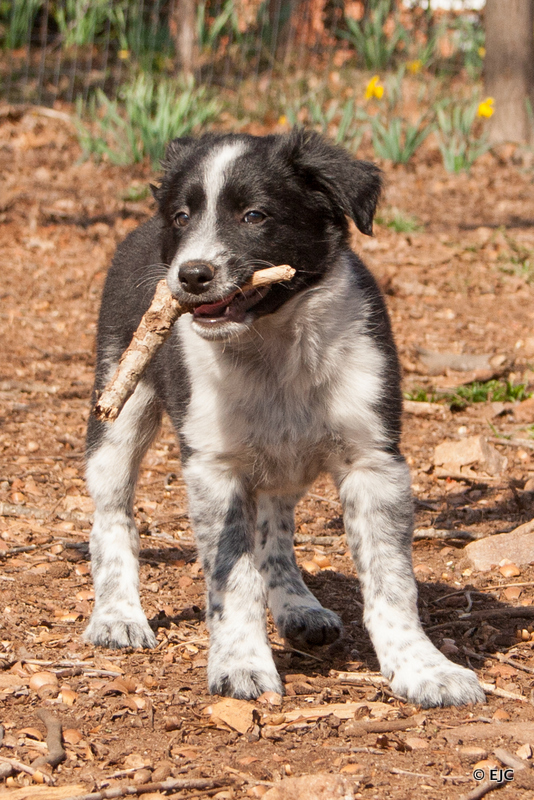 He has a fabulous temperament and is very athletic, doing very well in USDAA agility, where he competes in Masters, and is also certified in Accelerant Detection.